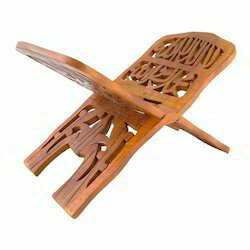 Pioneers in the industry, we offer wooden rehal 15inch sheesham from India. We are a manufacturer of Wooden Rehal that are high in demand in domestic and international all across the world. These rehals are made of superior quality polypropylene material. Looking for Wooden Rehal ?